The 2017 season of Luminarias presented by the Healdsburg Literary Guild kicks off with a talk by Charles Bamforth, a British-born and educated brewing scientist at UC Davis. Charles considers beer a beautiful artistic symphony, and through his teachings and writing, is on a mission to share it with the world. 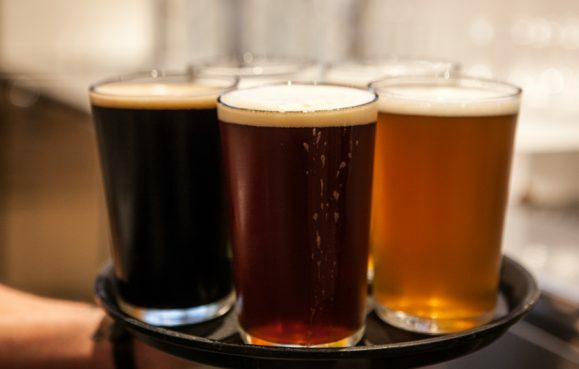 In addition to the talk by the ever-entertaining professor, the admission includes a taste of beer from Healdsburg’s own Bear Republic Brewery and light bites from the SHED kitchen. Charlie Bamforth has been the Anheuser-Busch Professor of Brewing Science at the UC Davis for more than 15 years. He’s been researching and making beer for close to half a century, and has has written numerous scholarly monographs and articles as well as some popular books that bring his absolute joy and deep understanding of beer to a wide audience. His career as brewing chemist and professor spanning both sides of the Atlantic has been stellar, but it is eclipsed by his renown as a popularizer of the joys of beer. His books Grape vs. Grain: A Historical, Technological, and Social Comparison of Wine and Beer, and Beer is Proof the God Loves Us take us to the heart of his message: beer is wonderful. Bear Republic Brewing Company has been producing award-winning world class, handcrafted ales since 1995. Started and run by third and fourth generation Sonoma County residents, the Norgrove family brings personal and local pride to their world class beers.